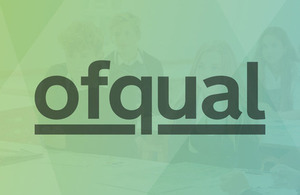 Ofqual has today (4 April 2019) published Wave 17 of the annual qualifications perceptions survey. This information, published annually as Official Statistics, was carried out by the research organisation YouGov on our behalf. These regular survey outputs allow us to understand changes and variations of levels of understanding about qualifications among learners, parents, business groups, teachers, headteachers and the general public. Overall confidence in GCSEs, AS and A levels was similar to wave 16 (conducted in late 2017). Seven in ten (71%) stakeholders agreed that GCSEs ‘are a trusted qualification’, comparable with waves 16 and 15 (conducted in late 2016). The proportion who said that ‘GCSE standards are maintained year on year’ was unchanged from the previous two waves (40%). 8 in 10 (81%) stakeholders said that AS and A levels ‘are a trusted qualification’, the same as in wave 16. Half of respondents (49%) said that ‘AS and A level standards are maintained year on year’, consistent with the previous two waves. Overall, levels of agreement that GCSE, AS and A level ‘marking is accurate’ were consistent with waves 16 and 15. There has been an increase year-on-year since wave 14 (conducted in early 2016) in the proportion of stakeholders overall who correctly identified that 9 is the best grade GCSE students can get. In particular in this wave, the proportion of parents who correctly identified that 9 is the best grade rose to 85%, from 73% in wave 16. Seven in ten (69%) employers also correctly identified that grade 9 was the best grade, compared with 64% in wave 16. We asked about the 9-9 to 1-1 grading scale for the new GCSE combined science for the first time this wave. Nearly nine in ten (88%) headteachers said they were aware of the new scale. Overall, two thirds (64%) of respondents knew that there was a review of marking, moderation and appeals system for GCSEs, AS and A levels, up from 42% in wave 16. More than nine in ten (94%) headteachers and eight in ten (83%) teachers knew, up from 78% and 58% in wave 16 respectively. There were also increases in the proportions of teachers who said the systems for GCSEs and A levels were fair. The proportion who said the system for GCSEs was fair rose to 50% in wave 17, from 38% in wave 16. The proportion who said the system for A levels was fair rose to 49%, from 39%. Three quarters (77%) of teachers and headteachers said they had ‘adequate information’ about arrangements for students eligible for special consideration. Nearly seven in ten (67%) said they had ‘adequate information’ about reasonable adjustments. Both outturns were consistent with wave 16. The vast majority (86%) of teachers and headteachers said they had ‘adequate information’ about what constitutes malpractice for GCSEs, AS and A levels, and to whom they should report such incidents (88%). Both outturns were consistent with wave 16. Questions about Applied Generals were asked for just the second time in wave 17. Outcomes were consistent with wave 16. We are pleased to see improvement in the proportion of teachers reporting knowledge of the system for reviews of marking, moderation and appeals for GCSEs, AS and A levels, and also in those reporting that the system is fair. We believe these outcomes reflect the important changes to our rules that we introduced in summer 2017, and our collective work with exam boards to engage and inform schools and colleges. We also welcome the further improvement seen in levels of understanding of the new 9 to 1 GCSE grading scale among parents and employers. We focused our communication effort over the past year on raising awareness in schools and colleges of the 9-9 to 1-1 grading scale for the new GCSE combined science. Today’s results indicate good progress had been made by the time this survey was conducted in late 2018, and we are doing more on this front ahead of this year’s exams. Other results in this wave show general stability in levels of trust, perceived marking accuracy, and maintenance of standards across GCSEs, AS and A levels. We recognise the importance of public confidence in these qualifications. To that end, we are delivering a broad range of communications this year, including work to reduce incidents of malpractice in exams, to support students in their exam preparation, and to explain further how we maintain standards in these qualifications.